Get to know a little more about your machine in this hands-on introductory workshop, and walk away feeling more self-sufficient. This class will cover routine bike maintenance, the tools you should never leave home without, and how to fix a flat, with plenty of time to ask questions. Where bicycles are concerned, Meredith's heart is in the liberating power of the riding, and working on, of all types of bikes for all types of people, on any surface and in any weather. She teaches project-based mathematics at a public high school in Manhattan for recent immigrants, where she also facilitates an after-school bike mechanics and cycling program. Join Melissa from Girl Gotta Hike as she talks about her experiences locally and internationally as a hiker. Learn about gear, safety and great local hikes that as just a train ride away. Food and Drink Will be served. 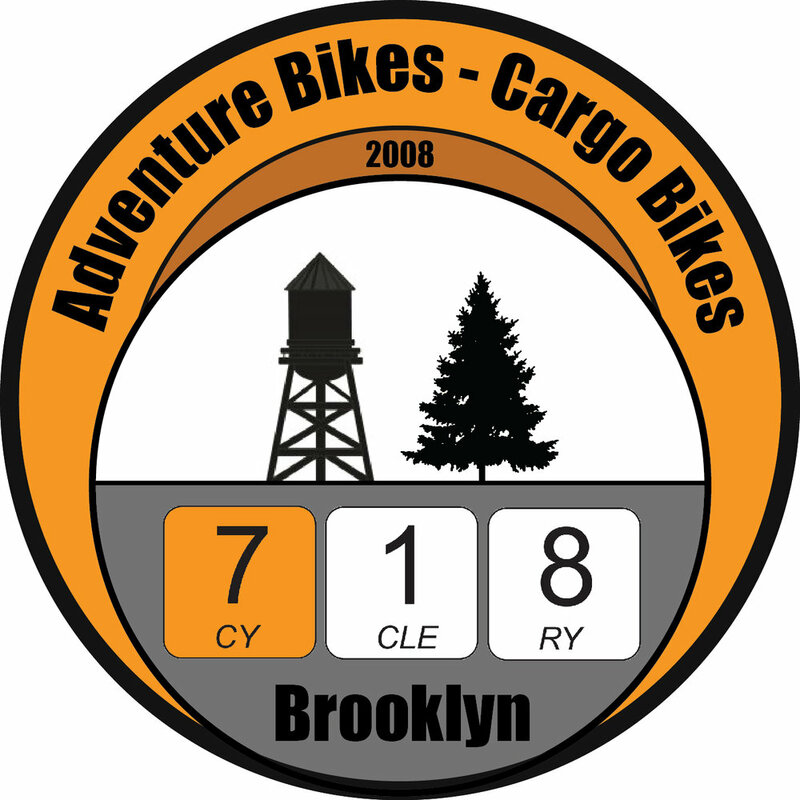 718 Cyclery welcomes Dennis Hrehowsik, President of the Brooklyn Bird Club, founded in 1909. Mr. Hrehowsik will discuss an introduction to birding, as well as describe some of the great opportunities for Birding right here in NYC. We will then join Mr. Hrehowsik on Saturday morning May 4th in Prospect Park for The Brooklyn Bird Club's weekly walk. 718 Cyclery welcomes Dennis Hrehowsik, President of the Brooklyn Bird Club, founded in 1909. On Thursday, May 2, Mr. Hrehowsik will discuss an introduction to birding, as well as describe some of the great opportunities for Birding right here in NYC. Join the RRB crew where they will be bringing a little slice of their Los Angeles manufacturing into 718 Cyclery! Annie will present her cross-country bike trip, riding from Washington, DC to Los Angeles. 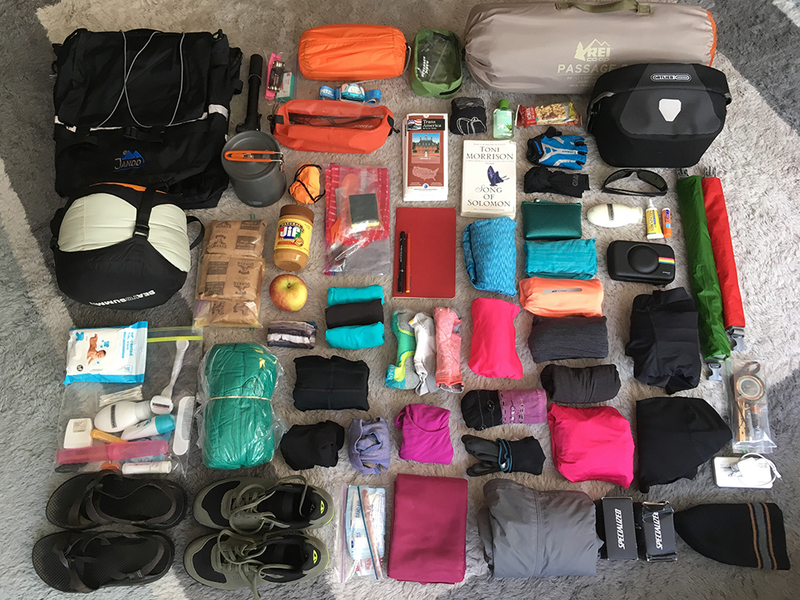 She'll discuss trip preparation, touring tips, and being solo on the road - all as someone new to bike touring - and will show her bike and gear. Food and Drink will be served. Registration for this event is on the Mappy Hour webpage. This class covers basic points of do-it-yourself maintenance to get you self-sufficient with you bike. In addition, this class can serve as a gateway to learning more about these great machines. Select Category (blue text…in this case “718 Presentation Series”) first. Green calendar dates will show availability. Please note you may need to scroll calendar ahead to find available date (in green). The Escape From New York Fair is a day filled with free classes, seminars, and presentations from local small businesses, nonprofits and travel destinations committed to providing adventures and gear to the not-so-distant hinterlands of NYC. This loop hike at the southern end of the park climbs Raccoon Brook Hill and Diamond Mountain, with several panoramic viewpoints, and runs along cascading Stony Brook and scenic Pine Meadow Lake. Often a source of mystery and stress from cyclists, this class serves to show that these shifting systems are easily worked with and essentially the same cast of characters for many decades. A repeat of our 2/6 event for all of you who weren't fast enough to snag tickets! Please Register at the Mappy Hour website for this event. This workshop is an introduction to bushcraft. There will be knives, there will be rope, there will be sticks! Led by FreeStone Expeditions Greg Wilson. Note: no door tickets, no waitlist. Sorry. All Registrations for the event must be done through the Mappy Hour website. We'll also seek to answer the eternal question: iodine, pump, UV, or other method? We'll be bringing a suite of water filters that are used in the backcountry, review the pros and cons of each and do a taste test (because we're New Yorkers, we like our water delicious). Note: no door tickets, no waitlist, no refunds. Packing the “Ten Essentials” whenever you step into the backcountry, even on day hikes, is a good habit. On a basic trip you may use only a few of them or none at all. It’s when something goes awry that you’ll truly appreciate the value of carrying these items that could be essential to your survival. 718 is excited to host our first home-grown Rock and Roll Trivia Night (AKA “Night Moves”) this. Fun, drinks, food, music and prizes will abound. Here is an example question. First person to get it right gets some “Night Moves” stickers mailed to them. See you Thursday! This is the class to take if you want to get rid of that annoying rubbing sound. Braking systems, while plentiful, mainly follow the same few principals in terms of function and maintenance. At the Mappy Hour town hall earlier this month we heard one thing loud and clear - New Yorkers want to learn more backcountry and survival skills. Luckily, FreeStone Expeditions Greg Wilson is helping us create an entire series filled with bushcraft, campcraft, and survival skills. We'll learn about building shelters, tying knots, sharpening knives, navigation, cooking and so much more. The Old Croton Aqueduct State Historic Park follows the route of the Old Croton Aqueduct, which carried water to New York City from 1842 to 1955. Most of the structure lies beneath the trail and has been designated a National Historic Landmark. Participants can buy components from 718 (at a 10% discount). Alternatively, attendees can bring their own wheel components. An essential survival skill, learning the tradition use of a compass as a navigation tool can someday get you out of a tough situation. A 8 hour class that results in Wilderness First Aid Certification. When @annalisavdbergh and @erikdouds ride their nearly 100-pound loaded bicycles, people ask them questions. 9:00am Doors Open. First 20 people get Swag Bags. 11:00am Basic Maintenance Class (Sign up here)…all are welcome!